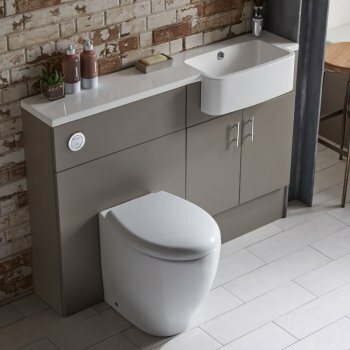 The Muse fitted furniture range, with its slab doors and smooth surfaces is designed to suit any bathroom. The new stone grey finish fitted furniture units will add warmth to your room and allows you to create a fully integrated wall-to-wall look. Muse fitted furniture is available in both slimline and standard depth options.